It found a "concentration of all authority" in the former chairman. But it said that Mr Ghosn had concentrated so much power in his office, that other departments which should have provided checks and balances "did not necessarily function effectively". 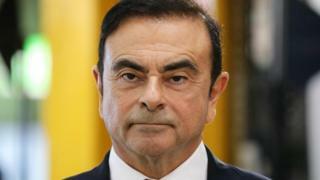 A spokesman for Mr Ghosn issued a statement describing the report as "part of an unsubstantiated smear campaign" which was designed to "conceal Nissan's deteriorating performance". "Mr Ghosn acted at all times with the full authority of the Board and its shareholders," he added. His computer access is restricted to his lawyer's office during weekday daytime hours.